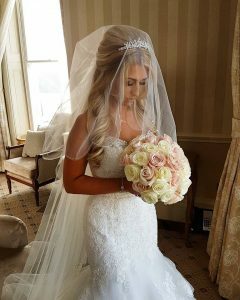 Beautiful Bride Heidi, Downhall, Bishop Storford, Essex. Heidi was such a beauty inside and out. 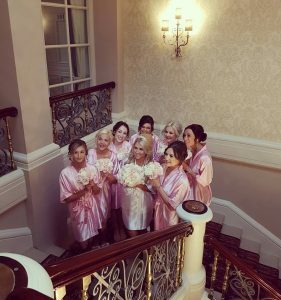 It was such a gorgeous morning with herself and all 6 of her bridesmaids. 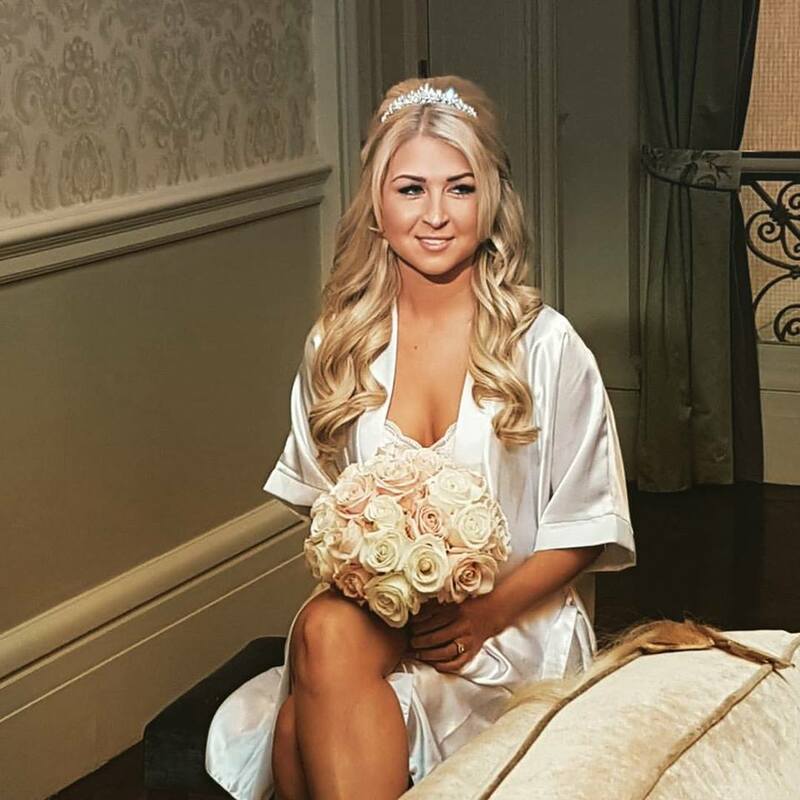 Heidi wanted big glamorous curls with lots of body and height, half up half down style – hair fit for a princess! To achieve this look I added Beauty works double hair clip ins to add more thickness and volume to Heidi’s natural locks. I add the extensions first and brush through so its blended. Before i add any heat to hair i always spray with Kenras heat protecting spray which smells absolutely gorgeous. I curled with a wide barreled GHD curler, making sure each side of her hair is curled the opposite way so you get the opposite curl on each side. This gives a mirrored look and compliments your hair doing it this way. I brush through each curl so it stays bouncy and smooth. 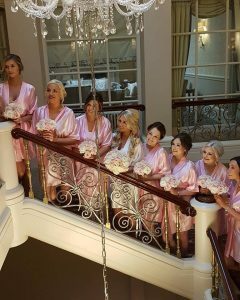 For Heidis bridesmiads we wanted to keep it very glam, but also very polished and different to the brides hair. We opted for big barreled curls pinned up with lots of body and height so it tied in with Heidi’s hair too. 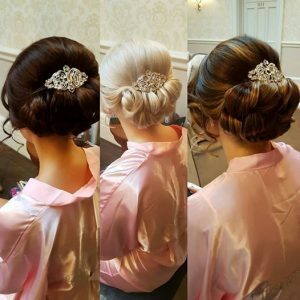 Being a Wedding a hair stylist in Essex this look has proven to be quite popular as it can be styled this way with all hair types and lengths. 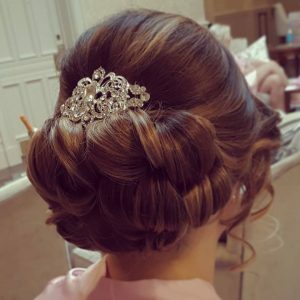 Complimented with Diamante hair slides. ← Nikkis Wedding morning at Downhall, Herforshire. Romantic, Boho side style.